The Phenom 300 is categorised as a Light Jet and was launched in 2010 in the European market by Embraer, its Brazilian manufacturer. With a cabin volume of 9.2m3, the Phenom 300 has a more spacious interior than both its Hawker and Cessna competitors, which accommodates up to 7 passengers. It was designed through a joint venture between BMW and Design Works to guarantee the height of comfort, making this Light Jet feel much larger than its category implies. In addition to its more comfortable interior, the Phenom offers a greater range than its rivals. 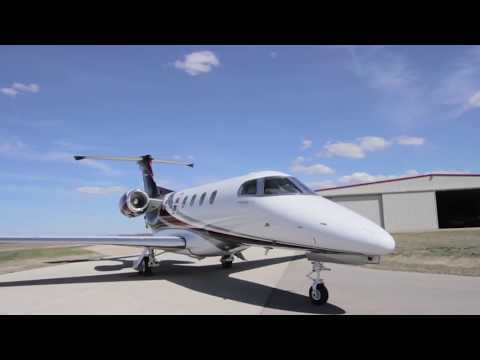 Capable of an impressive 3600km of uninterrupted flight, the Phenom 300 can connect most European cities and do so at extremely competitive prices. The Phenom's runway performance also sets it apart from the rest as it exceeds expectations when landing in high temperatures and high elevations while maintaining great fuel efficiency, which serves to lower its operating cost as well as its footprint.